Deadline day and Papiss Demba Cisse leads the rumours | NUFC Blog. Transfer deadline day leaves Newcastle United in desperate need of at least a striker and Papiss Demba Cisse currently leads the rumours in that respect. It’s transfer deadline day and hopefully we’ll have something to look forward to by way of a new striker. Whether we’re after anything more than that remains to be seen but, either way, try not to wet your pants in all the excitement. First-Team Players Out : Kuqi, Ireland, Campbell, Nolan, Routledge, Enrique, Barton and of course Carroll back in January (and Forster if you want to count that). Players In: Cabaye, Marveaux, Abeid, Ba, Obertan, Santon and Elliot. So who’s the latest on the rumour mill? 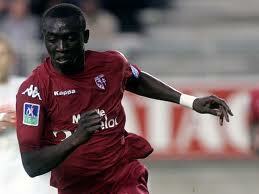 That would be Papiss Demba Cisse, a 26 year-old Senegalese striker who’s currently plying his trade for FC Freiburg. The Daily Mail is suggesting that we’re ‘closing in’ on the striker and that, although we’ve already had a £10m bid rejected, we’re going to be going back to Freiburg with an improved offer. Cisse had a career total of 85 goals in 205 games and 34 in 53 during his time at Freiburg, where he’s been since 2010. He also has 7 goals in 9 games for Senegal. Any move for Cisse would of course be instead of Mobido Maiga, the deal for who is currently stalled as Sochaux will not let him go until they can recruit a replacement. If none of the striker deals mentioned so far get done, apparently we have a £5m bid for Marvin Ogunjimi – a 23 year-old who currently plays for Racing Genk – as an emergency measure. Of all the strikers we’ve been connected with so far, my personal opinion is that Cisse would be the best. I’m just guessing of course but I’d be chuffed if we did manage to sign him. Here’s a video of Cisse in action. There are plenty more on YouTube if you search. The acquisition of a striker will be our main concern but it’s also possible we’ll recruit a new midfielder to replace Barton. We have been ‘connected’ with Sulley Muntari – last season’s Mackem loanee – in that respect over the past few days, although personally I think his alleged £75k/week wages mean it’s a non-starter as far as we’re concerned, at least in terms of a permanent deal. Sochaux to complain to UEFA about Toon’s Maiga interest. Pardew pursues Pieters. How many more players will Newcastle recruit? Vote. … he’s 26. and at £10-£13 million seems silly. I hope we don’t get him. But you want Maiga who we don’t know much about? the fat controller’s just spent a few bob yesterday so that’ll be him done until this time next year. Marvin Ogunjimi: Looks Really good, even if some of the video appears speeded up – nobody can move that fast! (Ranger could be off to Birm…), arent they also selling Scott Dann for 5m – player swap deal?? Cisse looks good to me… and he already wears number nine! Cisse seems like a canny hand, we need someone who is a proven goal scorer. On local radio last night they were saying we had a bid in to take Macheda on loan from Man Utd also. Hugh, why do you include Kuqi, Ireland, Campbell and Routledge as first team players out when Kuqi and Campbell were only needed if we were in the most dire of circumstances and we had exhausted all other possibilities, whilst Routledge was out on loan and Ireland was out with the physios most of the time? Only Nolan, Enrique and Barton could be regarded as real first teamers. Cabaye has replaced Nolan. Santon replaced Enrique. Marveaux, Abeid and/or Obertan replaced Barton. Cabaye is a far superior player than Nolan. And from his appearances todate I expect Capaye to score quite a few goals from midfield. Santon cannot be judged yet on his onfield ability with the team but his credentials look impressive and better than Enrique, except for premiership experience. Marveaux and Obertan are better on the wing than Barton. In midfield, it is arguable whether Barton would get a game ahead of Tiote, Cabaye and Ben Arfa. So far, I’m pretty pleased with the club’s transfer activity. Just need a striker and the departure of Ranger and Smith. Ranger to Birm, Rodallega in toon, Balotelli in possible loan to join best m8 Santon…..Maiga a no go….Danny Situ to Swansea? ?…Liverpool to land sturridge in Meireles swap+cash…. …lot going on out there, in theory. yes, Liverpool could get Sturridge (damn) – so where does that leave AC? And Stoke will get Bentner – the options are getting fewer & fewer. Good job we had 6 months notice or we would have been left with the dregs! Liverpool may be going after Milner…. So – if Chelski offer Sturridge fot Tiotte ???????? If Liverpool offered us AC back I’m affraid it would take him too long to settle in – he doesn’t speak french! Because they weren’t juniors, they were on our books and no longer are. Not that it matters – categorise then as you wish. So it’ll be Charles N’Zogbia at 11.45 pm then ? lot’s of big clubs have been after this fella!and compared to the likes of maiga and stuff,i think i’m fair to say that those with a fair knowledge of the footballing world have Atleast heard of papiss cisse. or seven months to be precise !! Twas 31st January that he went and no club in their right mind is going to release their top asset without megabucks on the table so why are we even bothering ? See it can be done if you set your mind to it !!!! “They wont pay over the odds and will wait until January if they have to. Believe me, strikers will be available in January”. Sorry could someone please explain that to me in words of one or two syllables ? How in gods name are extremely rare, high scoring strikers going to be more readily “available” in January ? FFS stop this bullshlt now ! I presume our carefully thought out transfer strategy entails offering the selling club £2m less than their valuation in the hope that they might be stupid or desperate enough to say yes ? FFS can someone tell those two dicks that a decent striker is hard to find and a great striker almost impossible – so whats with this bargain basement carp ? If you’re going to spend a fair few bob sending Carr and his merry men on player searches throughout Europe (but mostly in France) why come up with this buy em below market price strategy at the end of it all ? Maybe because travel expenses are tax deductible ? That’s what Keegan said AndyMac, if they are valued at £3million, we will offer £2million, gets rejected.